King-i's Brand new single "Time Out" described by King-I as a love song with a twist will be available on Itunes and other digital media outlets on 3/27/13. Written by: King-I Produced by OneTime Studio. 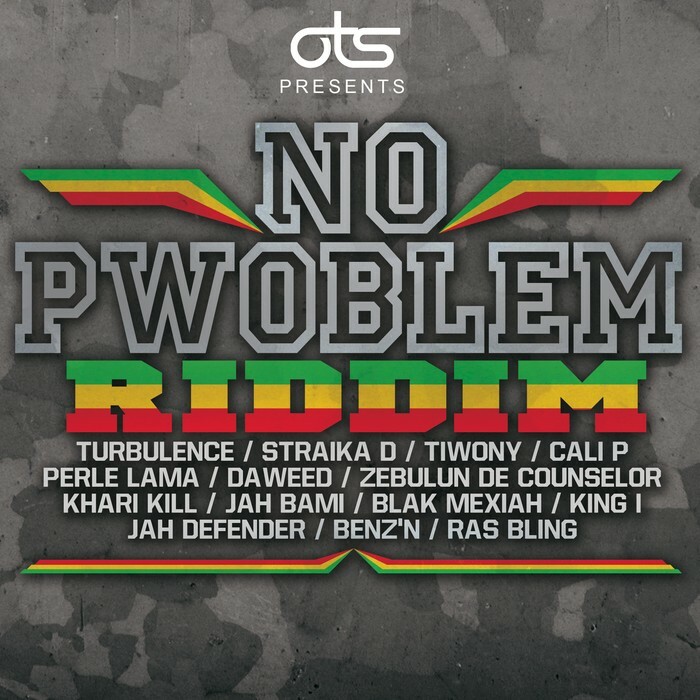 The "No Pwoblem" Riddim is the latest riddim compilation produced by OneTime Studio (Guadeloupe). In addition to King-i (KingiMusic) it also features Turbulence, Straika D, Tiwony, Cali P, Perle Lama, Daweed, Zebulun D Counselor, Khari Kill, Jah Bami, Blak Mexiah, Jah Defender, Benz'n, and Ras Bling. Music with a positive message. 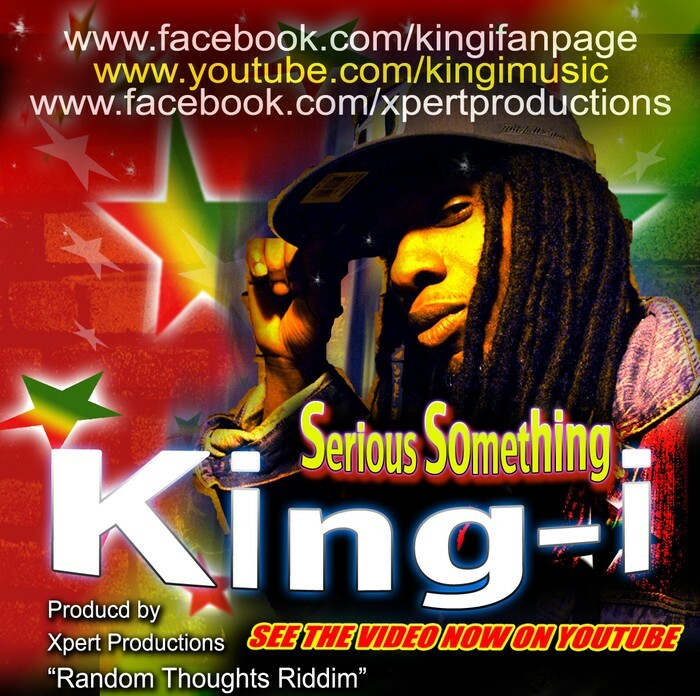 King-I's most recent smash hit, Serious Something by released 11/4/12. Reaching the top 10 list for December 2012 on WUMD Roots Radical Connection and included in the WUMD 2012 Music Review. King-i's new single 'Illusion' is featured on theVIS Records 'Right Time' RIddim compilation released on 11/13/2012. The 'Right Time' RIddim is available for purchase on ITUNES http://itun.es/us/CkWz and other select digital media outlets. The riddim also features Turbulence, Gregory Isaacs, Freddie McGregor, Mykal Rose, Delly Ranx, Gowdie Ranks, Luciano, Anthony B,Spanner Banner, Jah Mason, and Kali Blaxx. "Very Important Sound Records’ step forward with their latest juggling release, the “Right Time Riddim.” A powerful one drop riddim that boasts a superb lineup featuring ’4 decades of reggae greats’, most notably the late great Gregory Isaacs [R.I.P]. The conscious vocals on this project mashup well with the vybsy instrumentation and arrangements, reminiscent of classic roots reggae tracks. Very Important Sound Records have found the right balance of past & present glory, and the resulting sound is sure to stand the test of time"
Play of Sensi A dancehall track infused with reggae harmonies from his upcoming debut CD. Release on 4/20/2011, the video garnered a very enthusiastic response on youtube & facebook and prompted viewers to describe the video as "Fun", "Bold" and "Very Creative - Full of Energy and Free". The video continues to be available and in demand on many media outlets. Video Directed & Edited by King-i. Available on on Itunes. King-I brings an energetic & creative fun style to this new era of reggae music. Just hear how he hypnotizes his audience with the catchy lyrics and beat whether or not they partake in the essence of the herbs. Superstar released on 10/17/2011 is one of King-i's cultural Reggae singles. King-i delivers an inspirational message that we are all SuperStars within. With his strong poetic lyrics, he delivers a creative and modern way to express the positive and negative aspects of everyday life. KIng-I's distinctive, mesmerizing style and vocal ability will grab your immediate attention to support his musical mission and discover your own SuperStar within. King-I on ITUNES, King-I on AMAZON & more. On June 3rd, 2012, King-I premiered his latest creative video for ‘World is Turning', the third Official Video Release from King-I. The Video is now available on Youtube, United Reggae, Rasta Respect, Rhyme Culture and other select media outlets. Soft yet expressive, 'Smile' features King-I's distinctive & soulful vocals. This Trinidadian artist will have you singing & dancing along to the uplifting lyrics in perfect harmony with the smooth sounds of the live band.